One of my ancestor’s homes now sits not far from where I live in Baton Rouge. 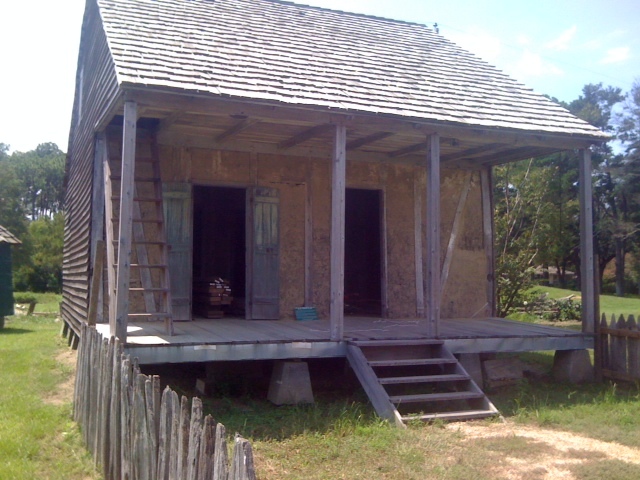 It is believed to be one of the oldest surviving Acadian homes in Louisiana. Jean Charles Germain Bergeron and his wife, Marie Madeleine Doiron, had 11 children. Their son, Jean Baptiste, is my direct ancestor. This house has a large front room and two small rooms at the back. 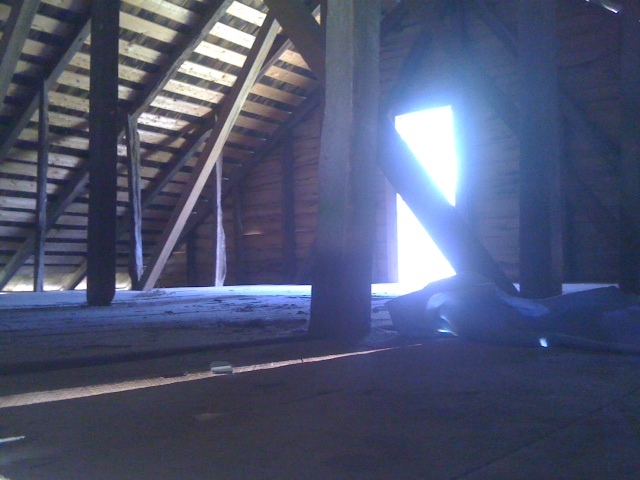 The ladder leads to a loft. The home is at the LSU Rural Life Museum – which is a really cool place to visit if you have a free morning or afternoon. Lots of old houses set up to resemble a little town. 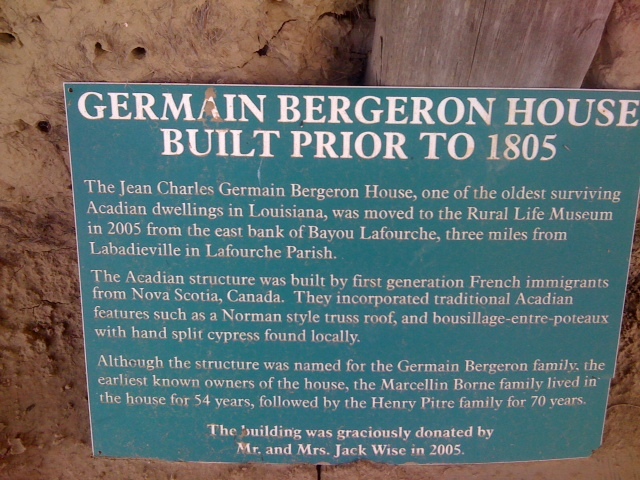 A plaque explains the Bergeron house’s history. The house used to sit on the banks of Bayou Lafourche near Labadieville in Assumption Parish.